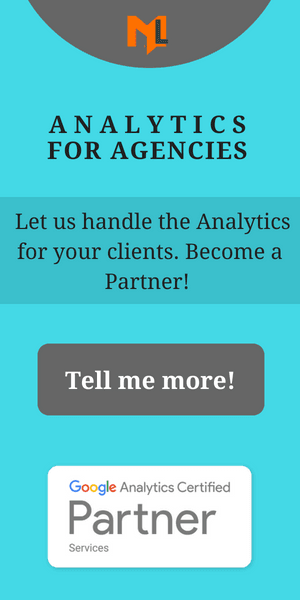 So let’s say you want to send your sites analytics data to two google analytics web properties. To do this you would need to place the tracking code from the two properties on every page of the site. But you can’t do it by just pasting both the codes as it is, instead we need to modify one of them to keep collecting data correctly. To do this copy the tracking code from both web properties. To get both of them to work together we need to modify one of the codes. Let’s change the second code by adding a prefix to all the _gaq.push calls sent to analytics. This prefix could be anything really. For brevity let’s use b the prefix needs a . (dot) after it for separation. So it becomes b. By modifying the code we are causing it to create a separate set of GA cookies for tracking data to second web property, hence overcoming the overwriting issue we were facing previously. We need to add prefix ALL calls in tracking script as well as any other event tracking or cross domain calls. Also note every action that you want to track to both properties would need to have tracking from both sets of properties. For example if you wanted to track click on a link. We can shorten the second script to just this as rest of the code already exists in first script. In some cases you cant combine the script so you would just place the above script on the pages with the first tracking script. Please check your inbox to verify the subscription. Thank you!